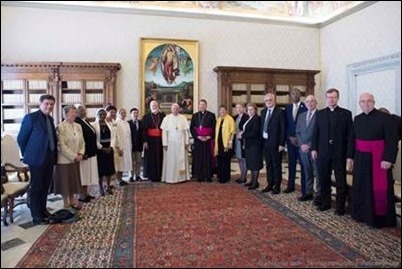 This past week I have been in Rome for the Meeting on the Protection of Minors in the Church. The Holy Father has called this meeting of the presidents of the bishops’ conferences from around the world, along with patriarchs of the various Eastern Rite Churches and a number of religious superiors of men and women, to come together and reflect on safeguarding young people. This is the first time that this theme has been addressed in such a broad way in the Church, and there is great hope and expectation. The Holy Father is bringing this issue to the bishops of the world so that they will take ownership of it and together be able to adopt a similar approach to try to overcome the grave errors that have been made in the past and help the Church focus on the victims of child abuse and work for the healing. There is a great desire to overcome the image of clergy abuse as a crisis of the United States or Europe, but instead to cast it in its universal aspects. Our meetings consist of a number of presentations from people from around the world, including the testimony of victims. 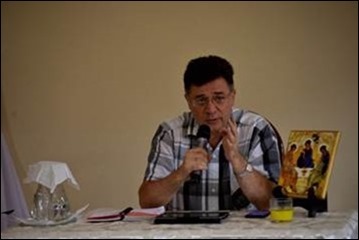 Each talk is followed by a period of discussion in small groups in which the bishops consider different, concrete responses that can be made to address safeguarding and see how the various individual bishops’ conferences and conferences of religious can work together to bring healing and assure safety for young people. 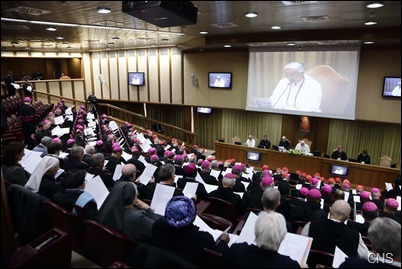 It was a blessing to reflect that one of the reasons this meeting came about was a proposal made by the members of the Pontifical Commission for the Protection of Minors following our September 2018 Plenary. Shortly thereafter our Holy Father consulted the Council of Cardinals and approved this recommendation. Our mandate is twofold: First, to advise the Holy Father on all aspects of the protection of minors and vulnerable adults in the Church, including effective policies and procedures and, second, to offer our advice and support to local Churches around the world in their own work of safeguarding. The priority in our work continues to be placed on the Church’s response to the victims/survivors of abuse. One new initiative is called “Survivor Advisory Panels,” which we are currently piloting together with the episcopal conferences in Brazil, the Philippines and Zambia. These panels are a means for bringing together victims, bishops, and other representatives of local Churches, creating “safe spaces” in different cultural contexts for welcoming, listening to, and learning from victims/survivors of abuse. 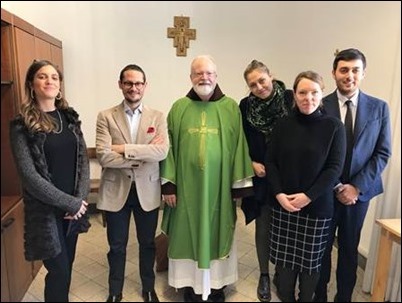 We have been working together on this project with the Episcopal Conference of England and Wales and the experts who assist them, developing this new model and hoping to support the active collaboration of victims and bishops in improving the Church’s safeguarding efforts in their own countries. A second major emphasis of our work during these past five years has been many different types of formation and education programs. Our commission members have actively contributed to providing over 250 educational events on six continents. These workshops and meetings include interdisciplinary teams of experts, providing great opportunities for our members to collaborate not only with national bishops’ conferences, but also with different regional groupings. The third primary focus in our work is the safeguarding “Guidelines” that are to be issued in every local Church and every ecclesial institution, including all our religious orders, schools, hospitals, orphanages, etc. 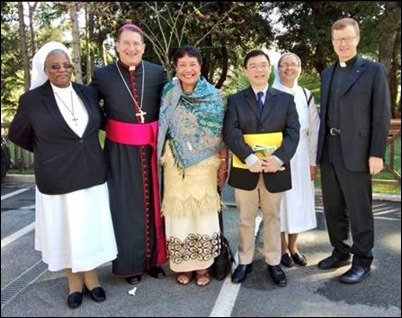 Our Commission continues to develop a program to assist episcopal conferences to develop and to implement guidelines that reflect “best practices” from churches and other organizations around the world, expressed in the terms of their own local culture. As part of this project, our commission will soon offer an “Implementation and Audit Instrument” that will enable local Church authorities, in collaboration with independent experts, to monitor and to assess the implementation and effectiveness of their guidelines. The “audit” process will assess compliance with relevant protocols and identify areas of need for further development and growth. I am so pleased to work together with our commission members and to witness the interdisciplinary expertise and global reach of their work, and our website has recently been renewed to reflect different aspects of this work. We are also so grateful the staff of the commission who work so diligently to support our very important mission. Before I conclude, there are two other small items I would like to share with you. While here in Rome, I received a copy of the document and, on the cover, there is a picture of St. Francis greeting the Sultan. Of course, St. Francis visited the Sultan at a time of war during the Crusades, but Francis wanted to carry the gospel message of peace and good news. 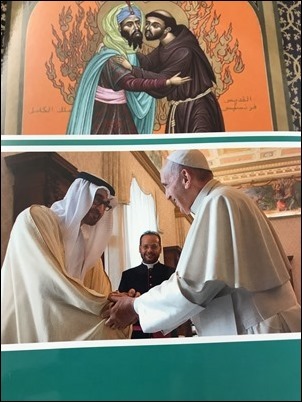 I thought the use of that image just above the photo of Pope Francis greeting the Grand Imam was very striking, and I want to share it with you. 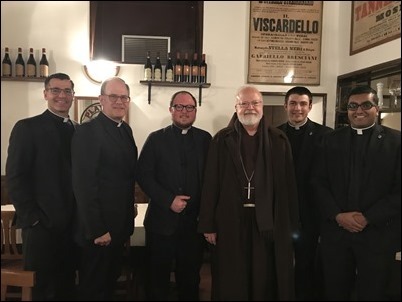 Finally, as I always like to do when I’m in Rome, I gathered on Wednesday evening with our Boston priests and seminarians who are working or studying here. It’s always a chance to check in with them and see how they are doing. I am very happy to report they are all doing very well.